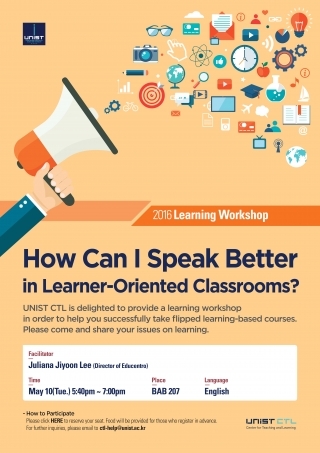 UNIST CTL is delighted to provide a learning workshop in order to help you successfully take flipped learning-based courses. Please come and share your issues on learning. Title: How Can I Speak Better in Learner-Oriented Classrooms?